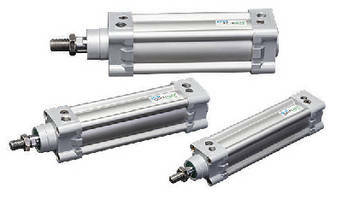 Pneumatic Cylinders feature ISO mounting. 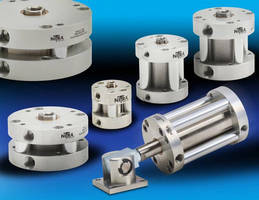 Pneumatic Air Cylinders withstand abusive conditions. 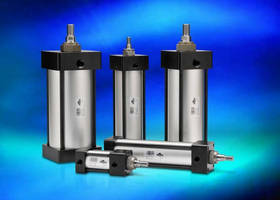 Pneumatic Air Cylinders feature stainless steel construction. 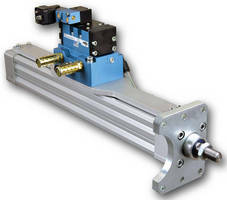 Dual Rod Guided Pneumatic Air Cylinders operate up to 142 psi. Stainless Steel Cylinders offer stroke lengths up to 4 in. 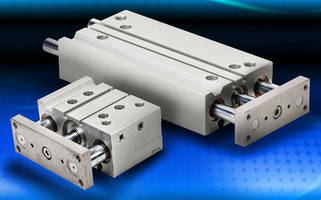 Compact Pneumatic Cylinders are constructed of stainless steel. NITRA(TM) C-series features round, type 304 stainless steel bodies with anodized aluminum alloy heads. 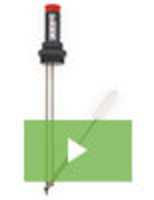 While standard features include type 303 stainless piston rod equipped with Buna N O-ring rod seals and sintered bronze rod bushings, options include clevis brackets and rod eyes. 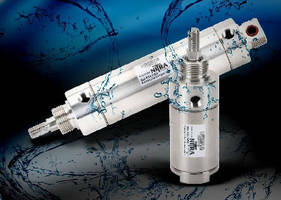 Double-acting cylinders are available in 9/16-3 in. 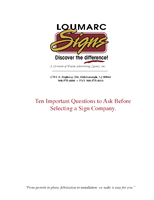 bore sizes and stroke lengths from 0.25-4 in. 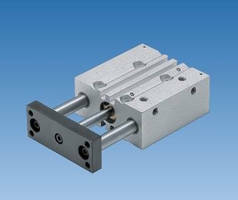 Double Acting Air Cylinders feature twin guide design. 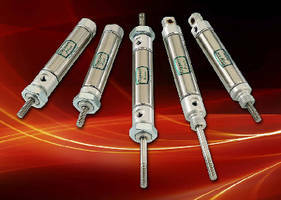 Available in fixed stroke and spacer fitted versions, Cylinders have Twin Guide design that incorporates 2 guide rods for optimal rigidity, resistance to lateral load, and positioning accuracy. Users can specify sliding or linear bushing bearings for guide rod bearings. Constructed of steel components, cylinders come in tube diameters from 12-50 mm and offer piston speeds ranging from 50-500 mm/s.